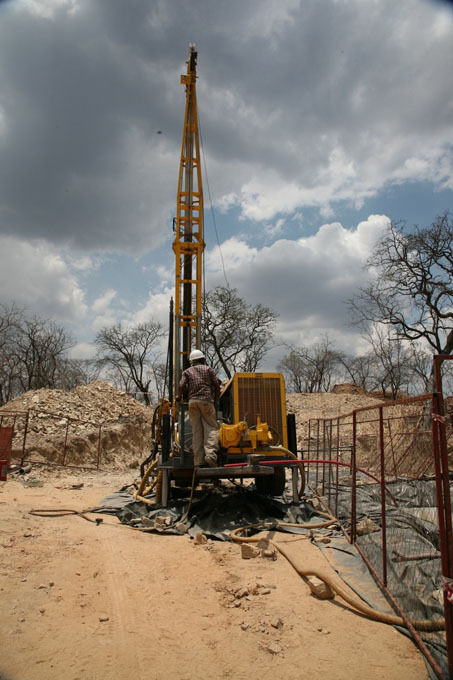 Diamond core drilling uses a diamond encrusted drill bit to drill through the rock. 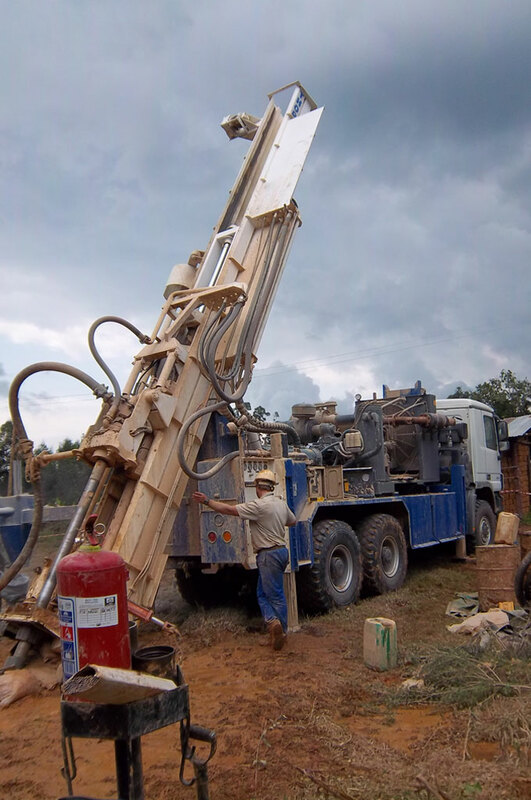 The drill produces a solid core of rock from the ore body. 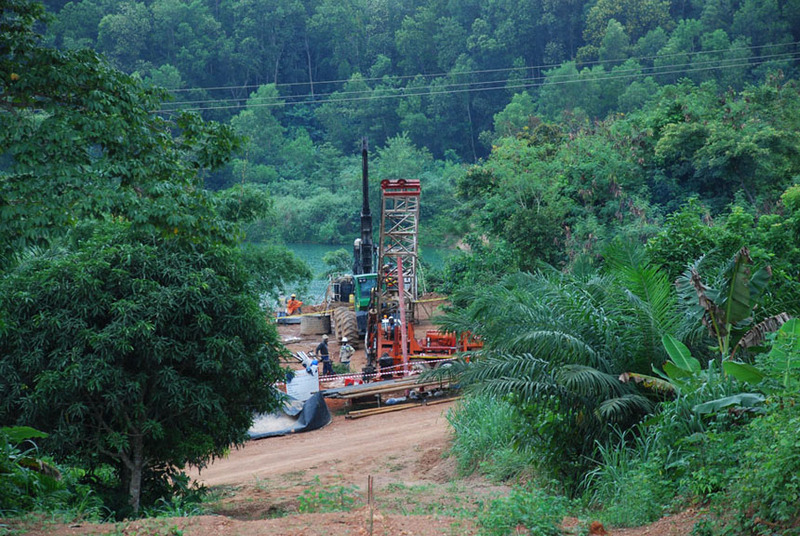 Water is injected into the drill pipe, so as to wash out the core produced by the bit. An actual diamond bit is a complex affair, usually designed for a specific rock type, with many channels for washing. 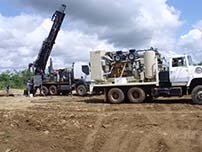 Pneumatic drilling produces rock chips by using a drilling mechanism known as a pneumatic reciprocating piston that drives a tungsten-steel drill bit into the earth. 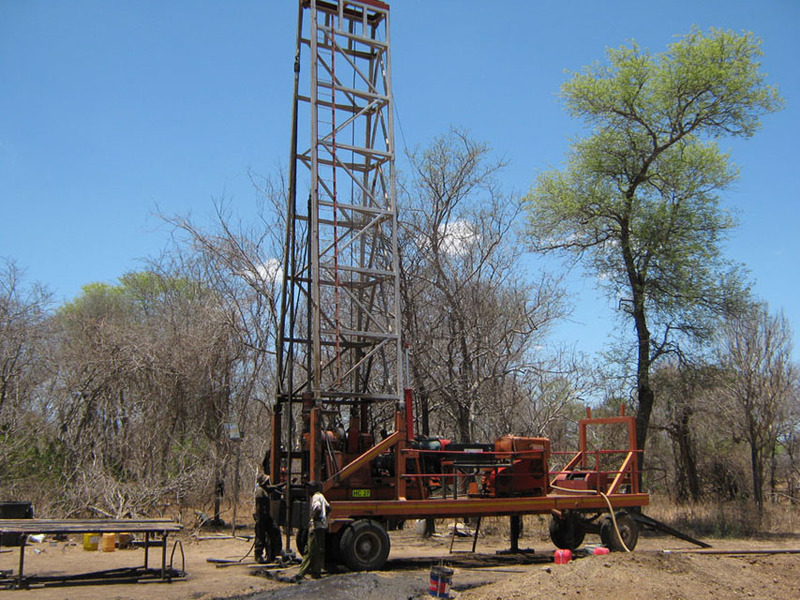 Drill cuttings (rock chips) are returned to surface by injecting compressed air into the hole via the annular area between the innertube and the drill rod. The cuttings are then blown back to surface up the inner tube where they pass through the sample separating system and are collected. 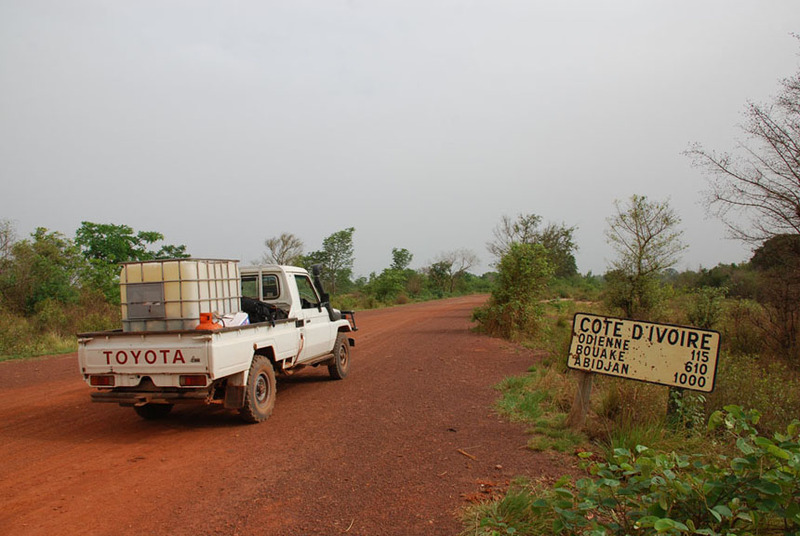 I cannot recommend Hall Core highly enough they carried out their duties in a competent and responsible manner at all times often under difficult circumstances. 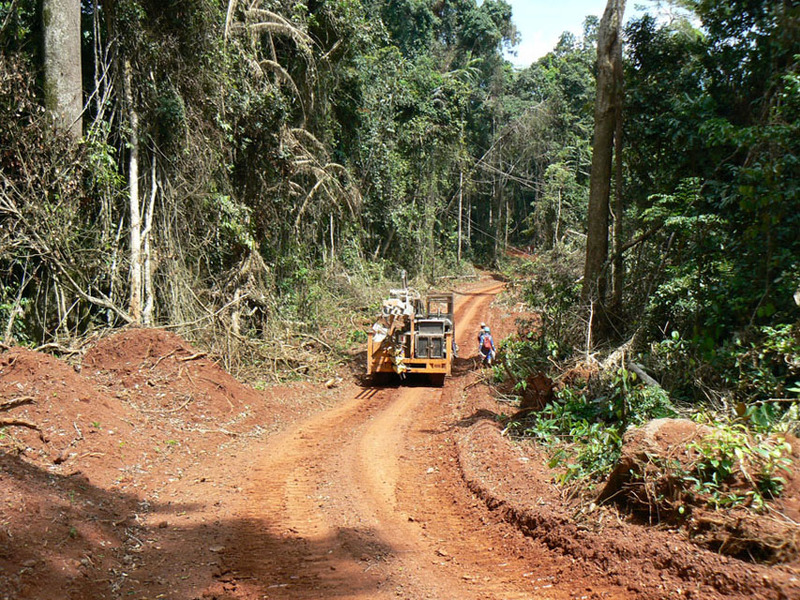 Work was carried out according to strict health, safety, community and environmental guidelines. 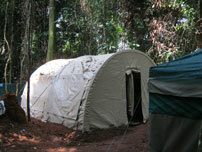 Management and staff were found to be very cooperative and responsive. The resultant product was good quality drilling producing clean, orientated, good recovery of core and a very competitive price. 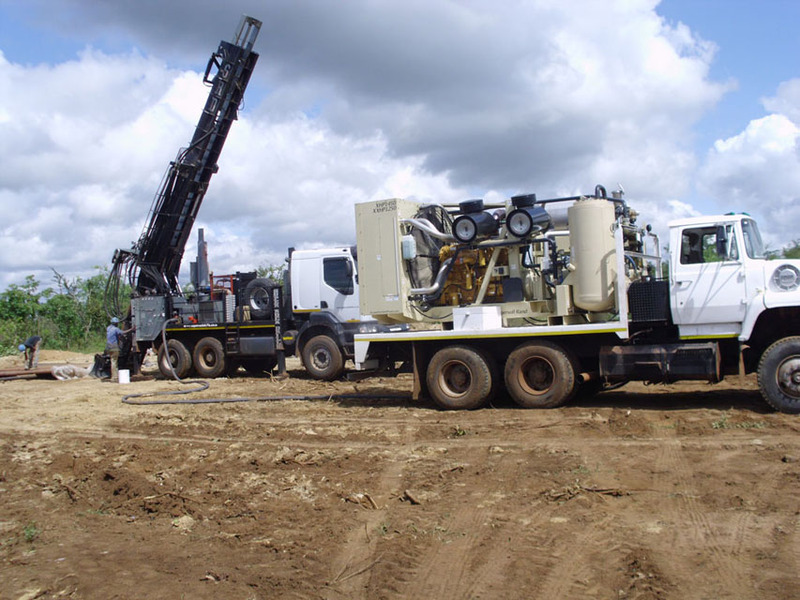 The MSA Group would recommend Hall Core Drilling (Pty) Ltd as a preferred drilling contractor our association with them has been on-going since October 2011. 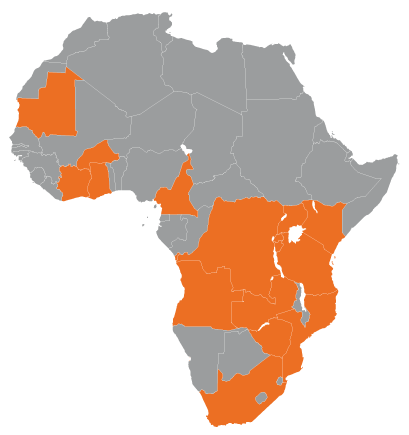 Hall Core Drilling's exploration has taken them to 14 African Countries, and shows their ability and experience to deliver quality services in remote places, meeting their client's goals. 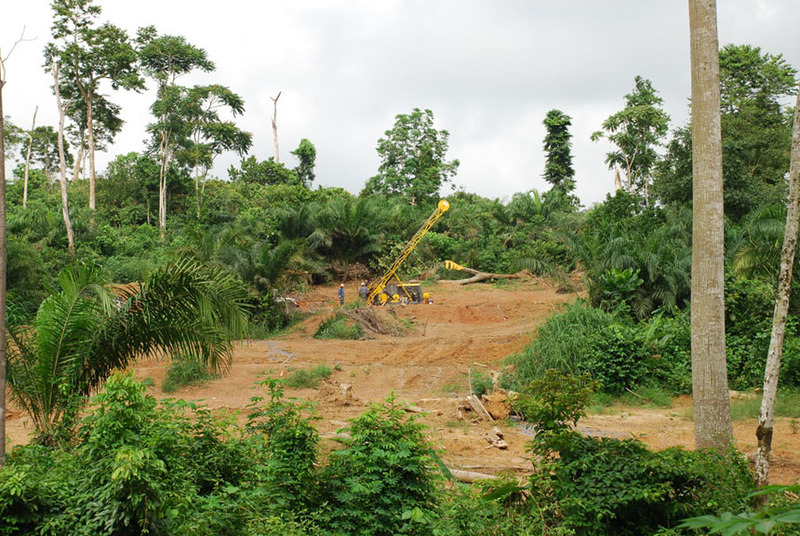 Most recently they started a new project in Cameroon, where within a month of signing the agreement they set up on site and started with the drilling exploration. 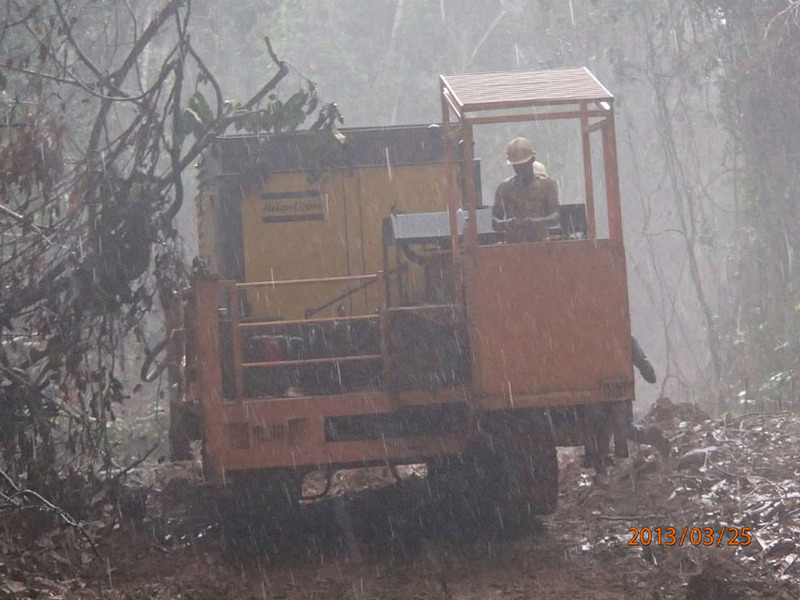 This new contract placed them in Cameroon's rain forest and in extremely difficult terrain. 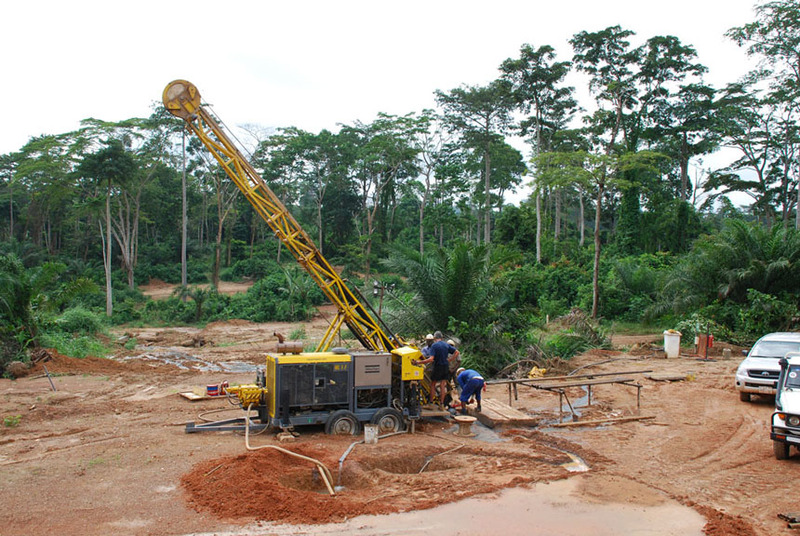 Hall Core Drilling invested in a new advanced RC Drilling rig with tracks to accommodate the unforgiving landscape of the rain forest. 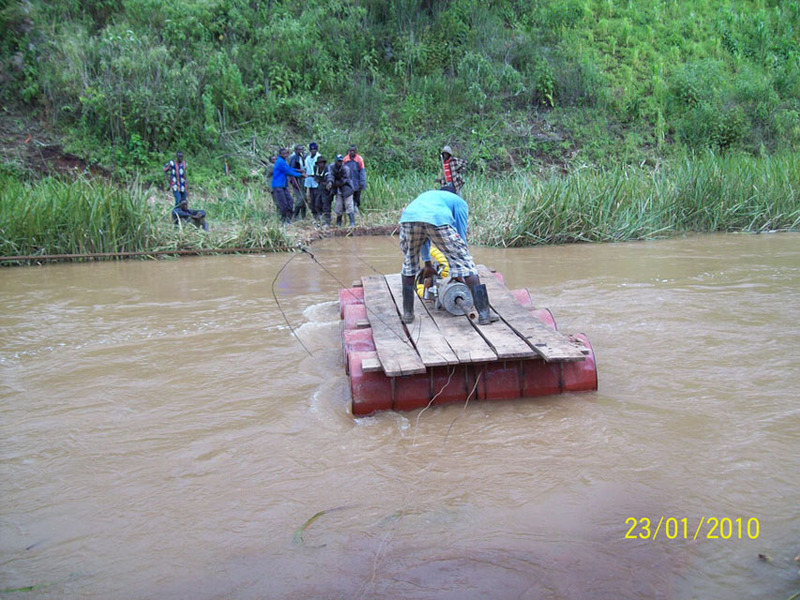 In addition measures were taken to minimize down time, making available a second set of critical equipment in Cameroon. 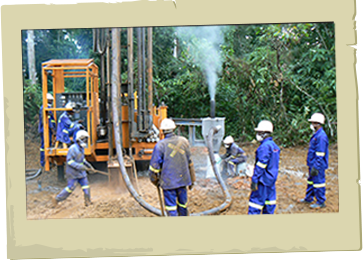 The Hall Core Drilling team appear to take pride in providing the client with competitive and efficient exploration drilling services. 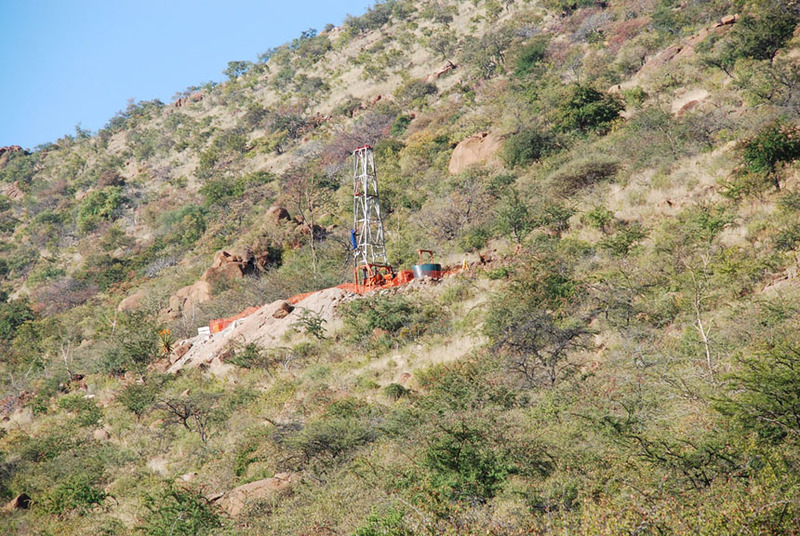 CCIC Coal has contracted a number of drilling programmes to Hallcore Drilling since 2008. 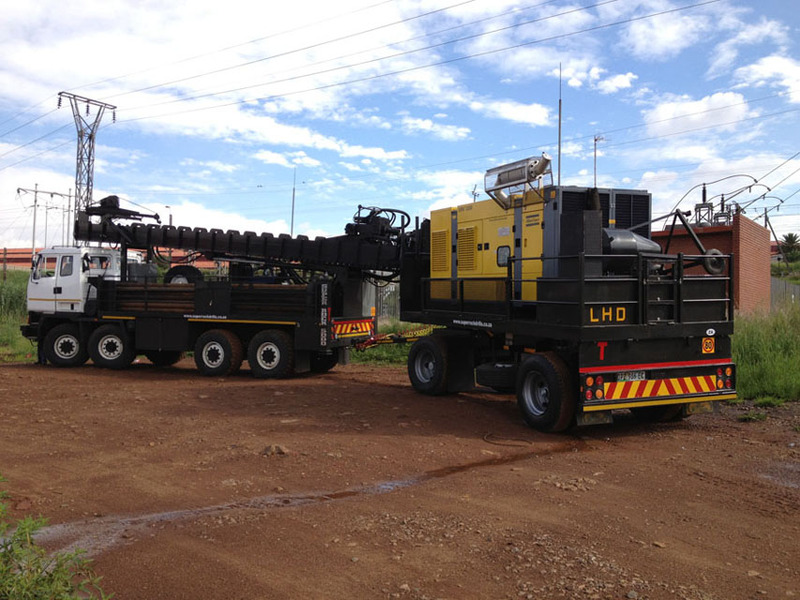 Hallcore have proved to be an adaptable and reliable drilling company that CCIC Coal have used for several clients across South Africa. They are willing to adjust their methods and techniques to work towards specific goals set by ourselves and our clients and will always strive to meet targets and deadlines. The on site drilling crews are amicable and the senior management are always accessible and will strive to fix any issues that may arise. 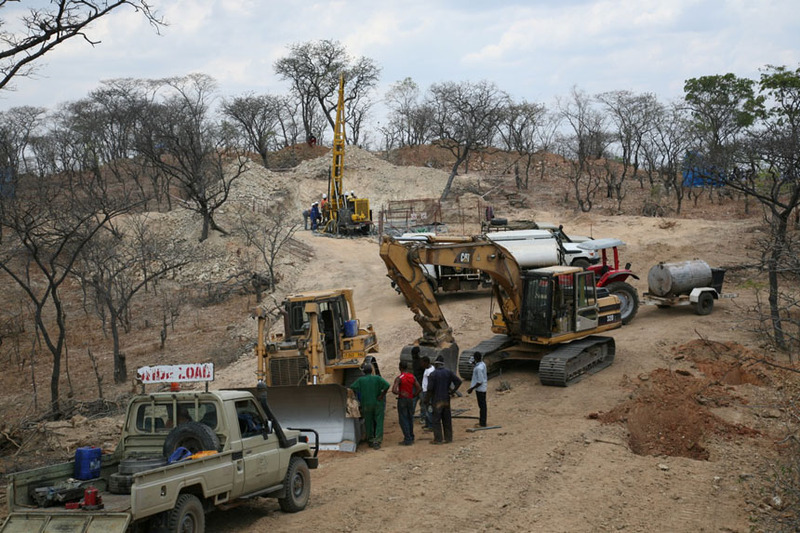 CCIC International have also contracted Hallcore for a lead-zinc project where they had to buy specific equipment to drill the difficult lithologies and CCIC Zambia are also about to start a drilling programme on the Copper Belt with Hallcore. Please feel free to contact Liz de Klerk at CCIC Coal on 0118800278. 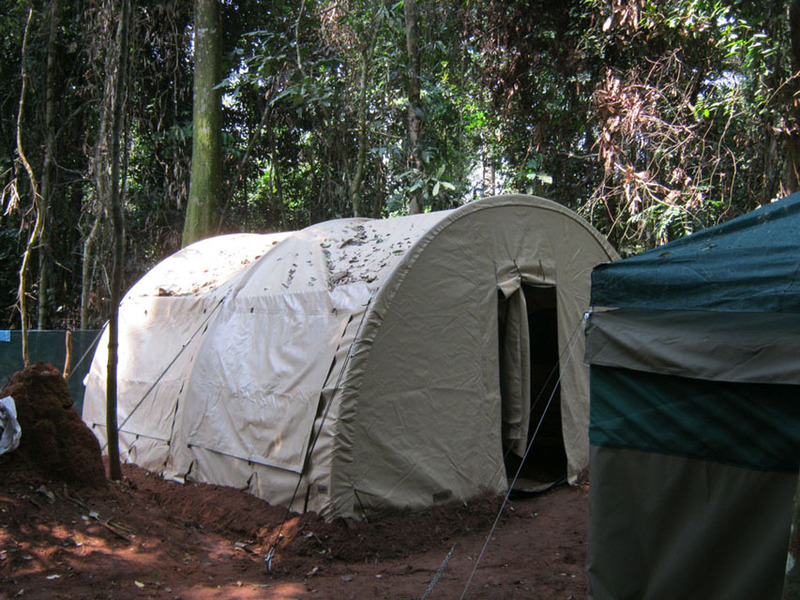 Carved from our “African” experience Hall Core has developed the value added services of providing remote accommodation and catering solutions to support both internal operations and clients field requirements. 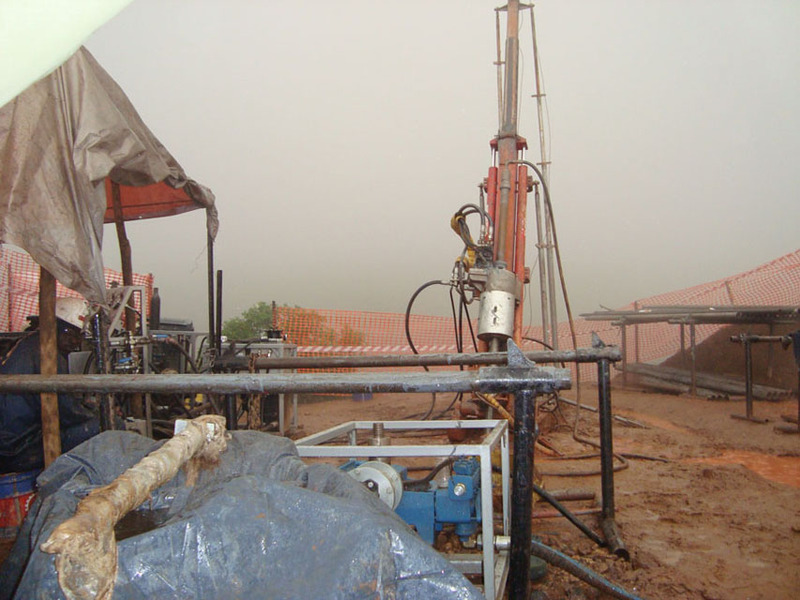 Hall Core Drilling is proving to be a very professional and competent drilling company, in terms of their technical performance, their compliance with safety, health and environmental issues as well as their ability to form an excellent working relationship with us as clients. 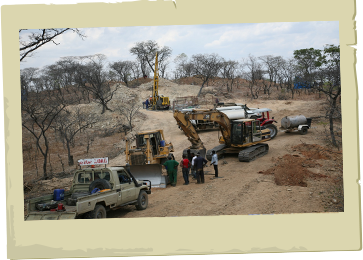 I can certainly recommend them to be considered to tender for any surface diamond drilling projects you wish to undertake. 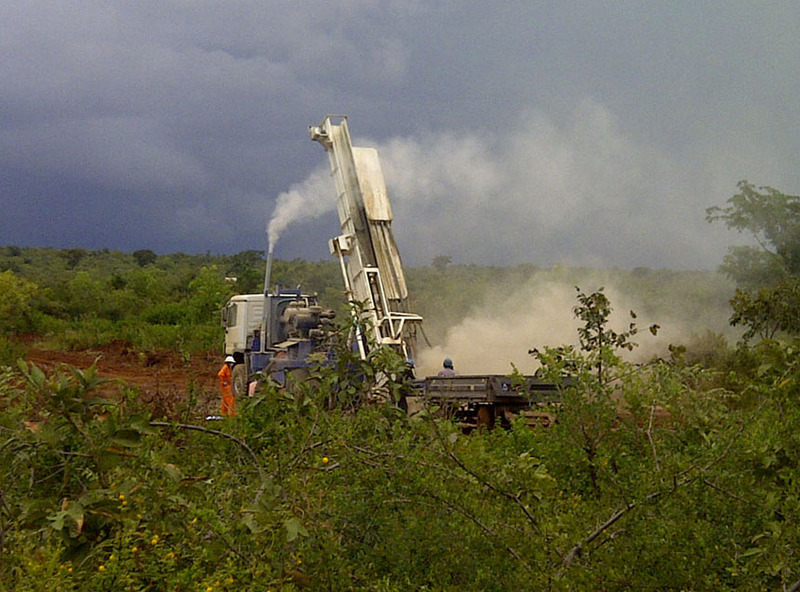 Hall Core has drilled for Tembo Gold Corporation since January 2012. 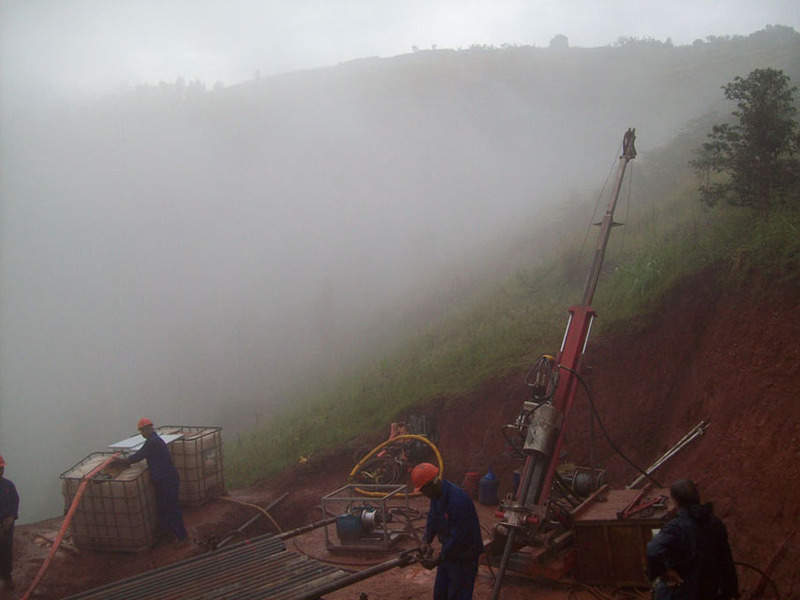 During the period to December 2012, the company completed 15,325m of reverse circulation drilling and 10,124m of diamond drilling. 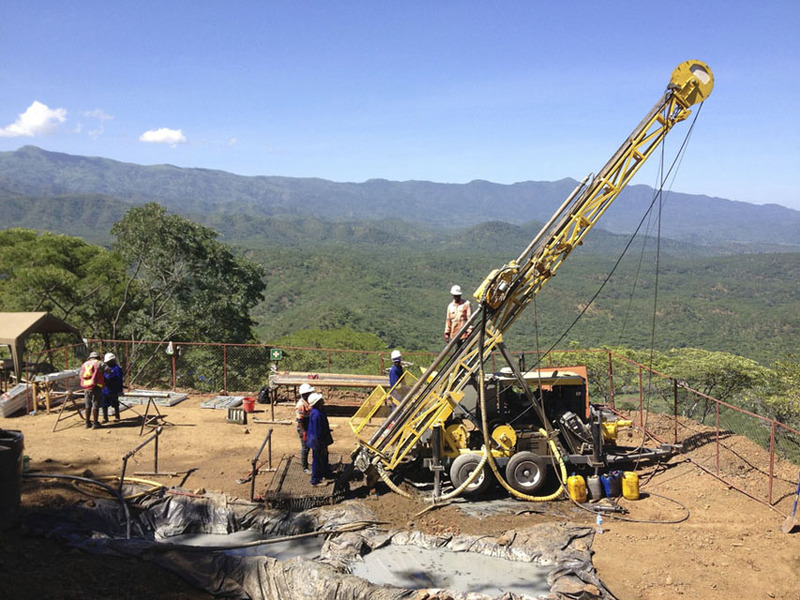 Although this was the company's first project in Tanzania, the drill productivity was compared favourably with other companies with many years of drilling experience in the conditions, operating in the region. 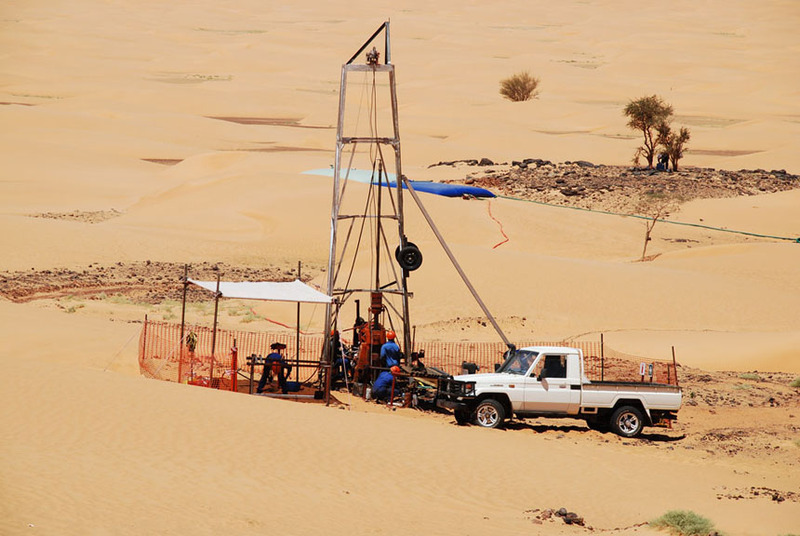 Hall Core executed the drilling program with strict adherence to high health, safety and environmental standards on their drill sites, which has resulted in very low to negligible incident rates in all areas. 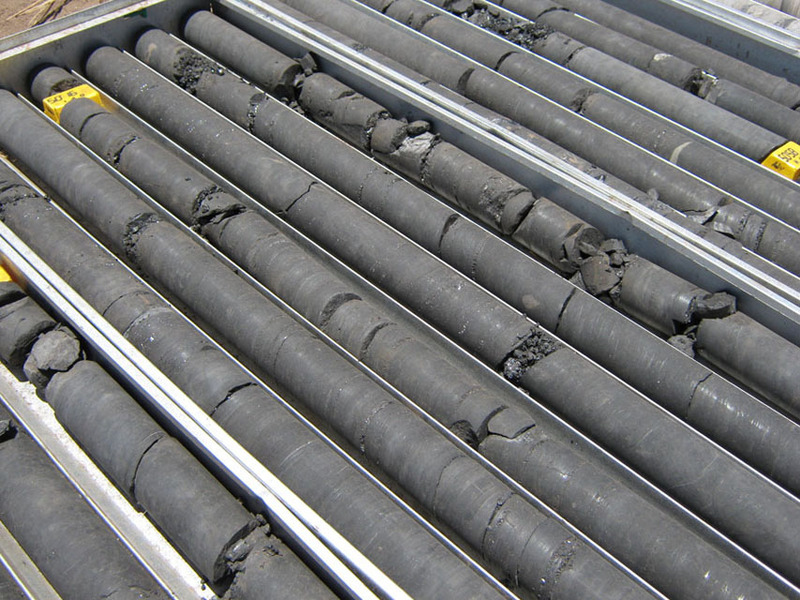 Technically, the core drilling returned very high core recoveries and good quality of core to our geologists. 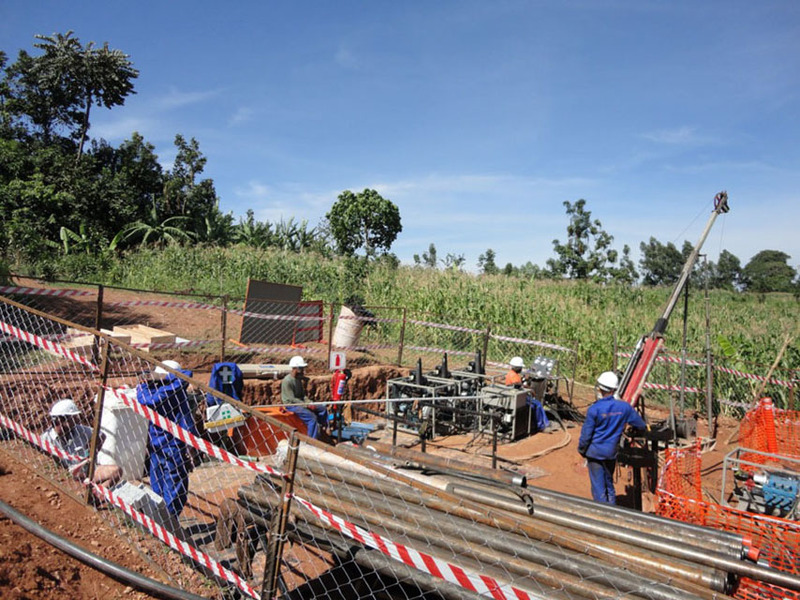 Borehole down hole surveys and Reflex oriented core readings were conducted routinely and provided to Tembo with a high level of accuracy and low error. 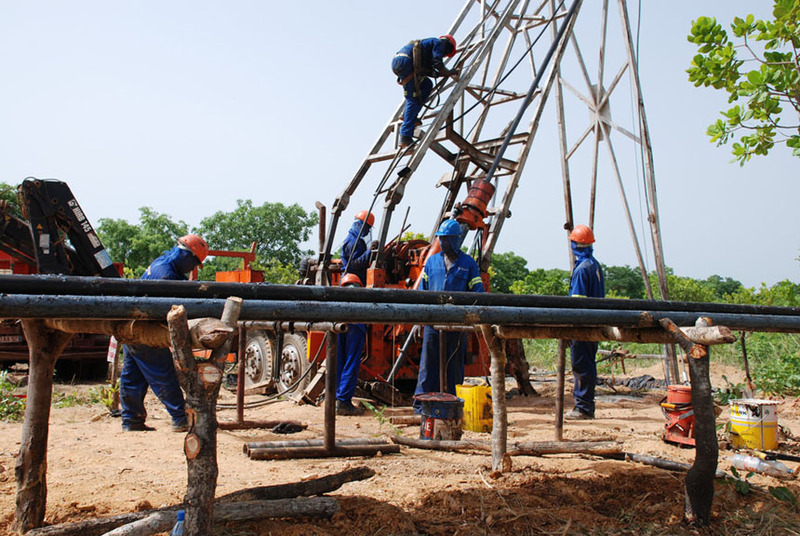 Hall Core personnel have always been cooperative and technically highly competent, and have worked well with locally recruited Tanzanian drill personnel, providing appropriate skills and HSE training. 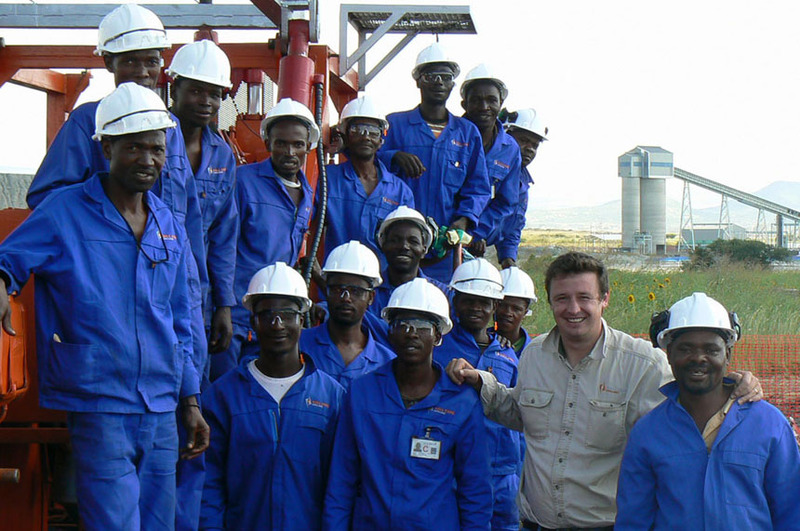 Our field personnel and management have developed a strong working relationship with Hall Core's team members. 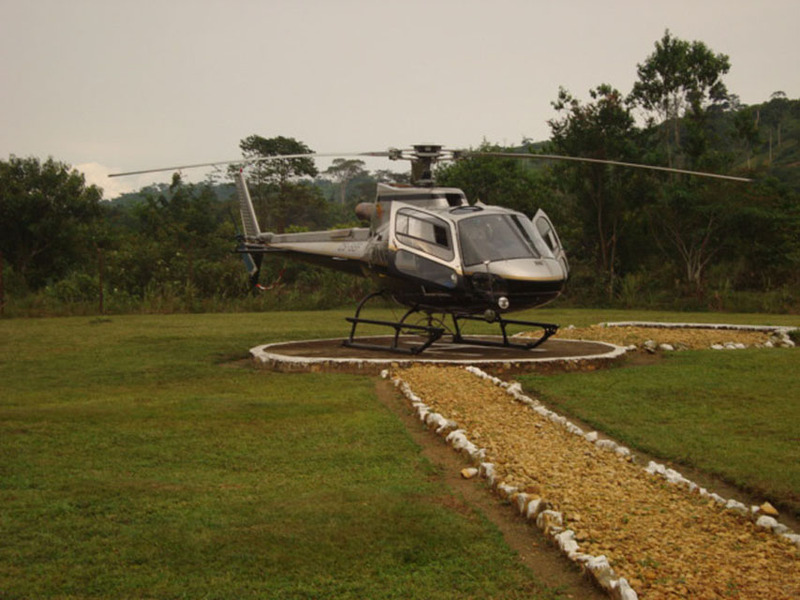 I recommend Hall Core to any exploration company seeking a competent and productive drilling company. working relationship with Hall Core's team members. 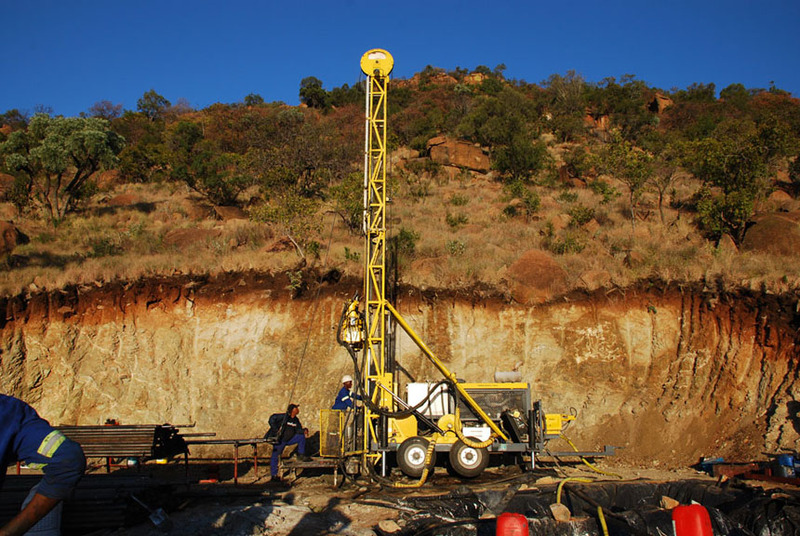 Hall Core Drilling (PTY) Ltd were awarded a contract by Lonmin's Marikana operations to dril some 12 000 metres of core in 20 boreholes, maximum depth 1100m, in FY2010. This contract is still in execution and at the time of this letter, approximately 2/3 complete. 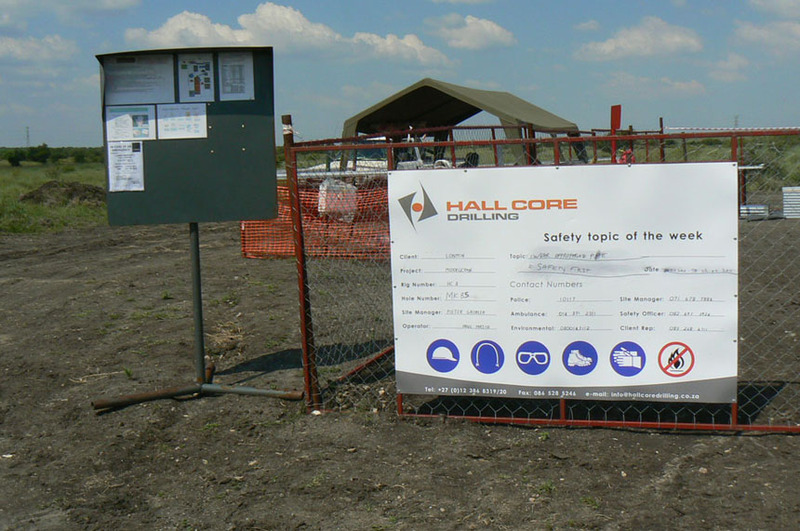 Thus far, I have found Hall Core Drilling's performance to be at a very high standard in terms of core quality, safety performance and drill rig/site adherence to Lonmin's standards and procedures. Based on my recent experience with Hall Core Drilling (PTY) Ltd I would recommend them as suitable inclusions to any tender list for similar scopes of work. 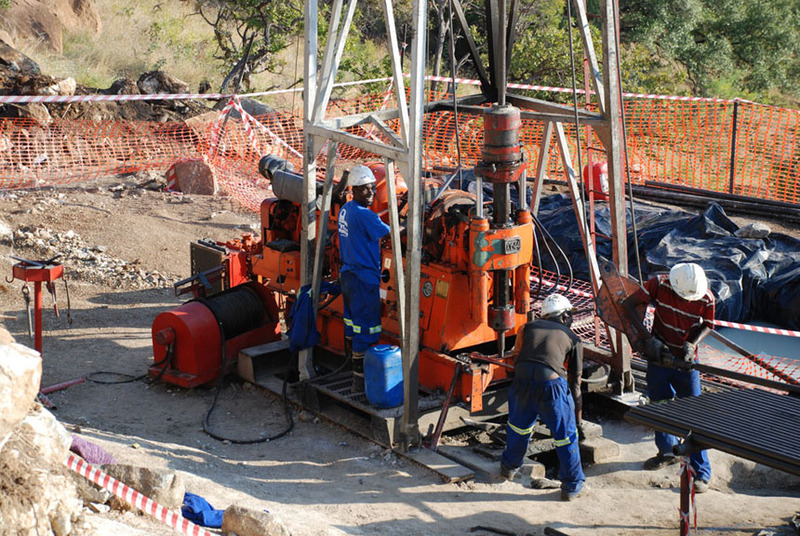 Hall Core Drilling (PTY) Ltd - Kalkfontein Project. 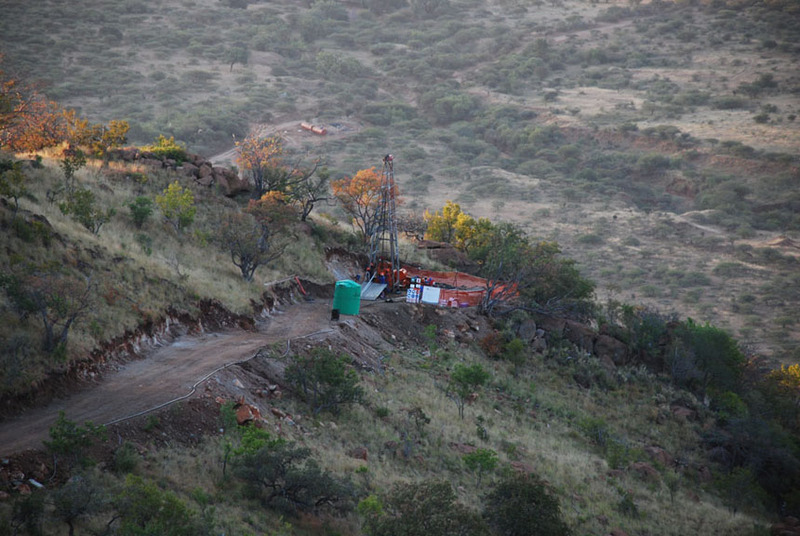 During 2009 Hall Core Drilling carried out exploration diamond drilling for Kameni Limited on their Kalkfontein Platinum Project south of Steelpoort. 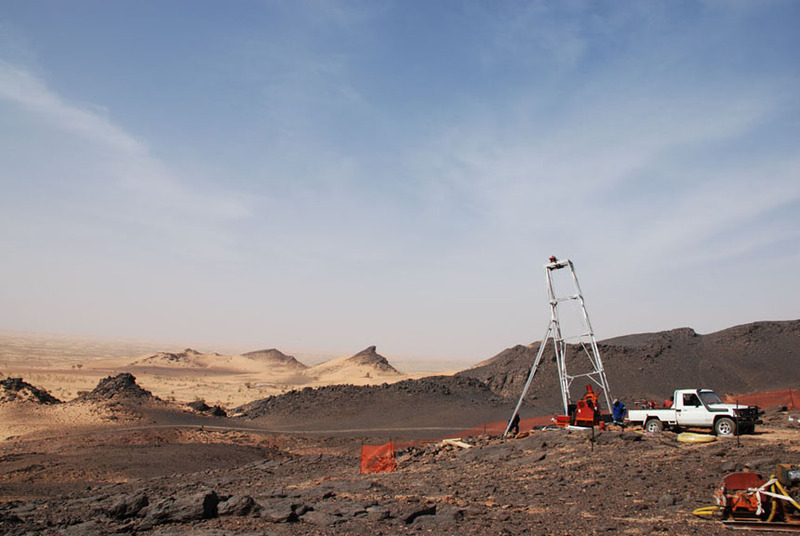 Between January and October Hall Core drilled 42 holes to a total of more than 20 000 metres in logistically challenging terrain; the project area is extremely rugged, with elevation variance of more than 600m. Both NQ and BQ sized core were drilled. 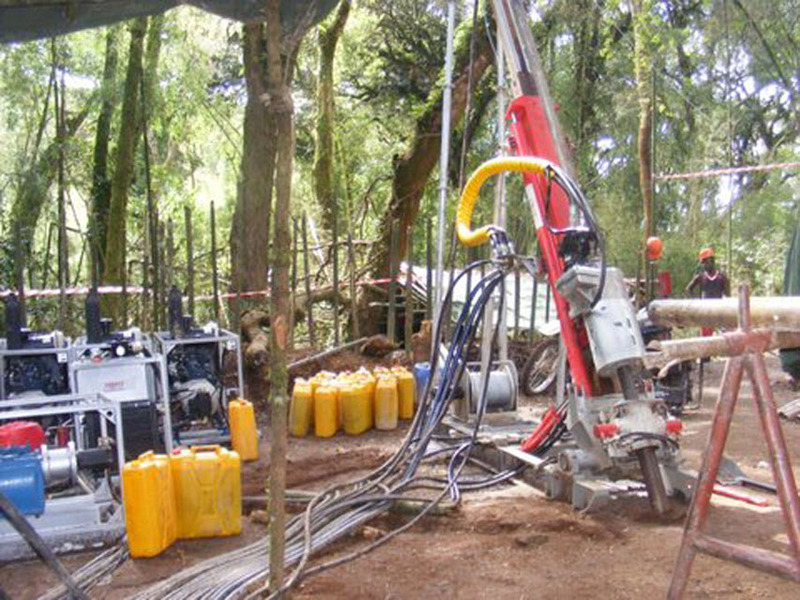 The deepest holes exceeded 1 100m and several deflections were also drilled. 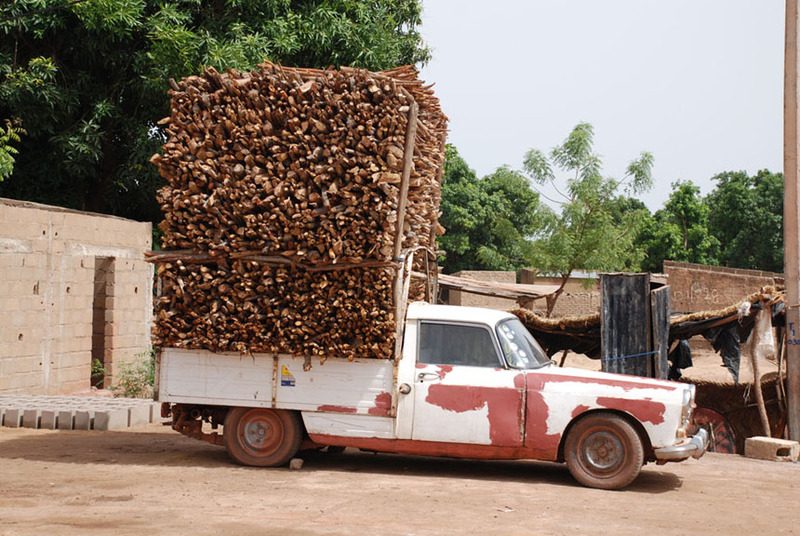 Quality of core produced was well up to industry standards. 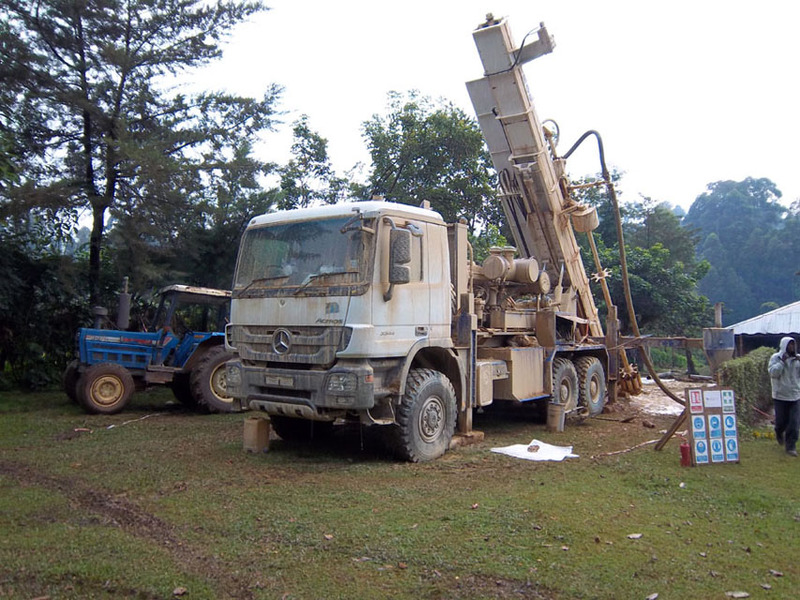 Despite tight schedules, rugged terrain and demanding logistics, Hall Core Drilling maintained an excellent safety record with no serious incidents or accidents reported. Hall Core management was friendly, flexible, cooperative and commited to the successful execution of the project. 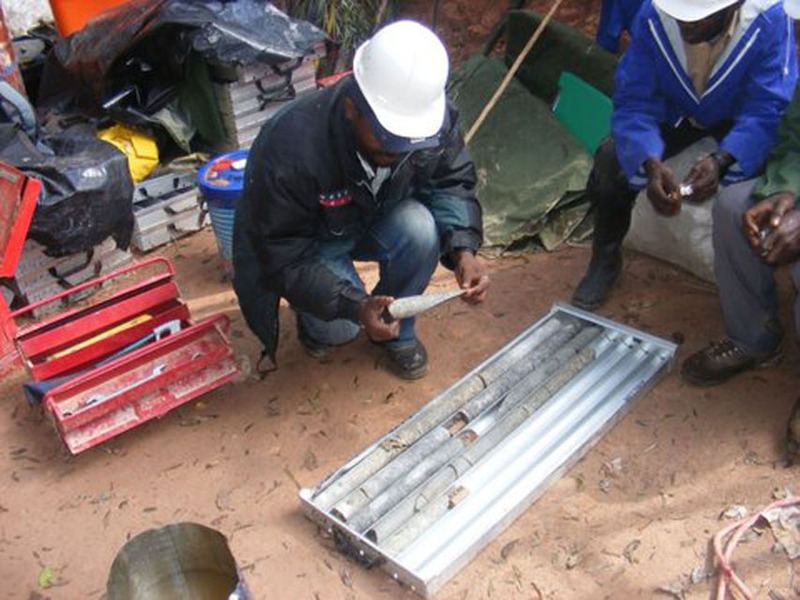 Hall Core Drilling has been providing Rock and Stock Investments (Pty) Ltd with their diamond core drilling expertise since 2000 on numerous different exploration projects both on and off mine. 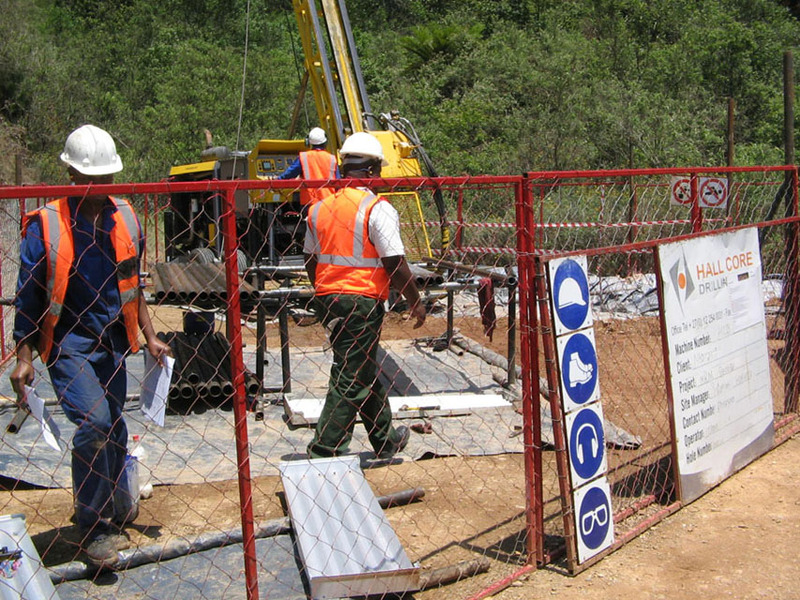 More recently Hall Core Drilling have been providing their services to a number Rock and Stock's clients namely; Platfields Ltd who are involved in exploration on platinum projects in the Bushveld and a gold project in the Pilgrims' Rest Goldfield and to Makana Exploration and Mining Ltd who are conducting exploration on a coal project in the Delmas area. 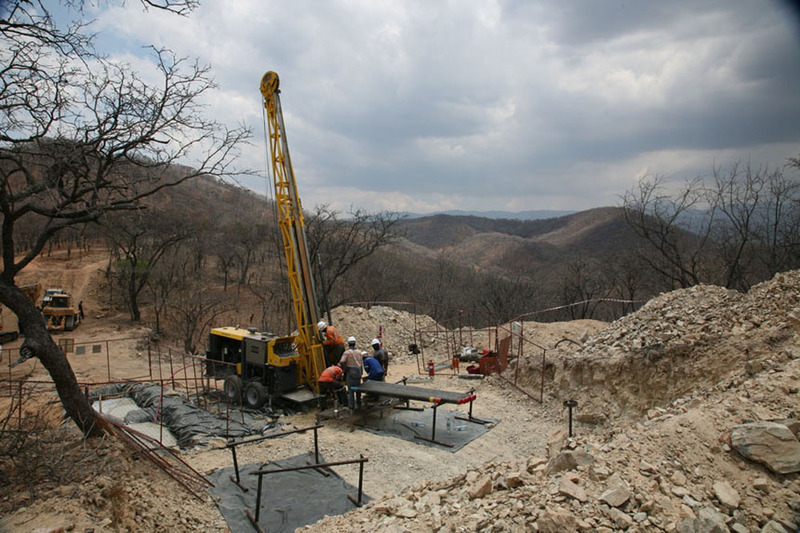 The level of service provided and quality of core produced is very high and they have proved themselves capable of resolving any issues or problems that may arise in relation to core drilling programmes. Hall Core Drilling are safety and environmentally conscious and able to work well within the regulations set out by the OHSAC and have adhered to the various EMPs pertaining to jobs where we have worked together. 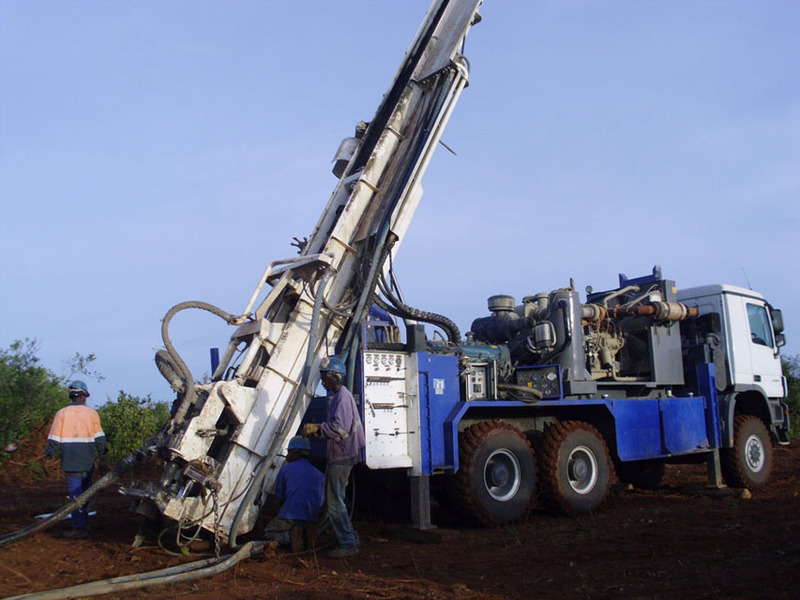 I have no hesitation in recommending them as a core drilling service provider on any project for which they may tender. 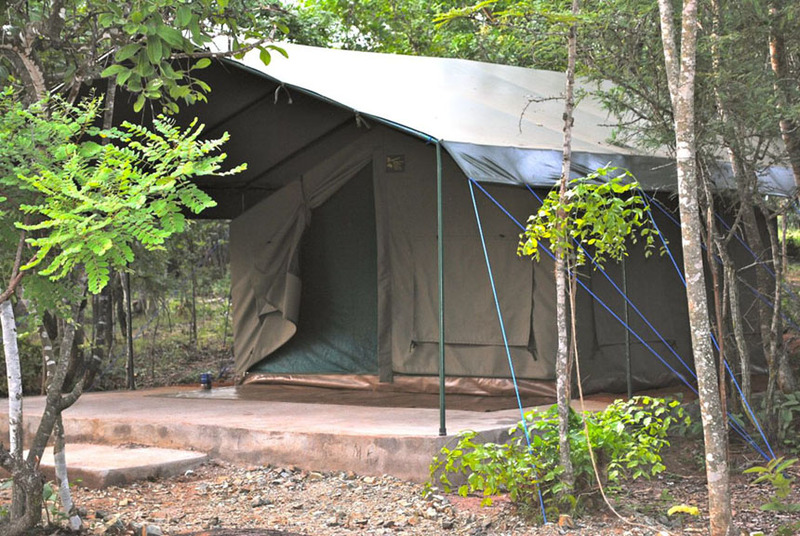 Our camping and catering services, Carved from our “African” experience Hall Core has developed the value added services of providing remote accommodation and catering solutions to support both internal operations and clients field requirements. 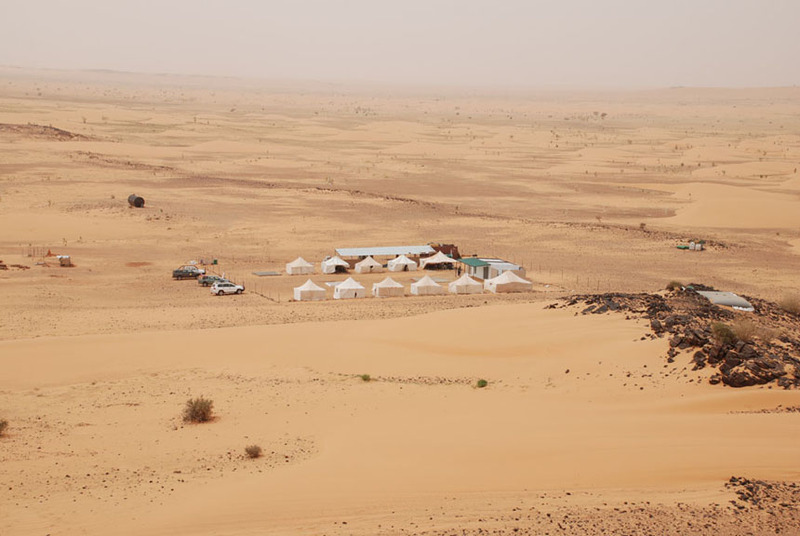 Camps are designed according the project specific conditions as every project faces a unique set of challenges, from the deserts in Mauritania to the jungle in Cameroon. At Hall Core we don’t sell core, we sell the solution. 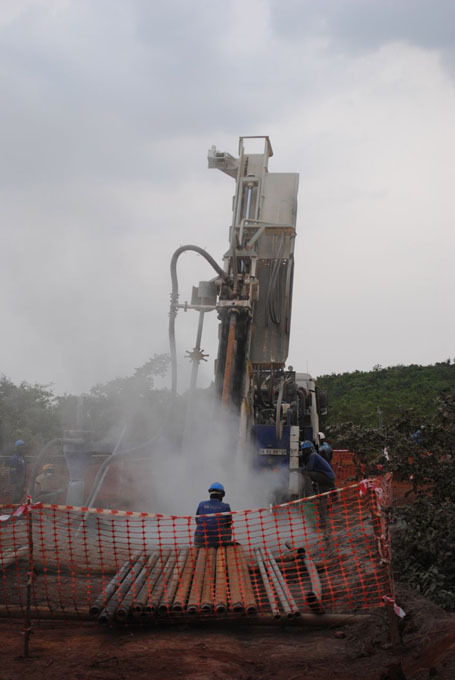 Hall Core is a contract drilling company focusing exclusively on drilling for the mining and water industries. The business was started in early 2000 with a single drill rig. 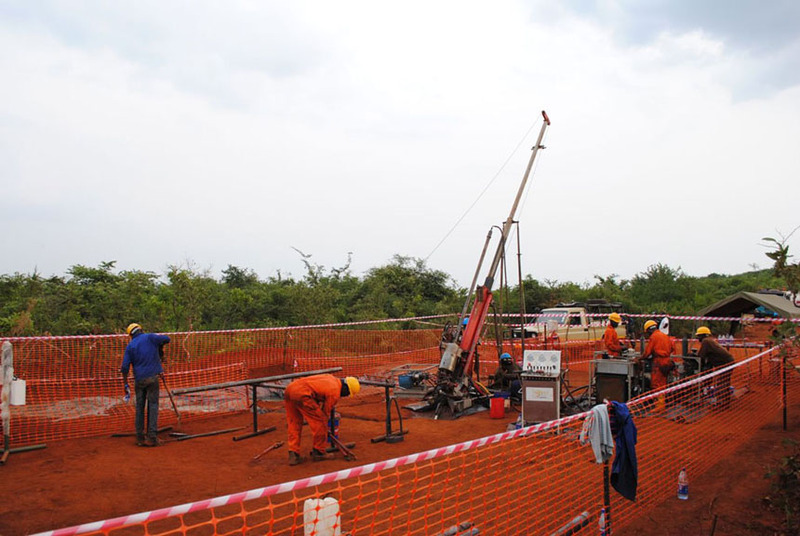 Today, Hall Core owns and operates 36 drill rigs, employs 250 people and drills for all major African commodities, including gold, uranium, platinum, iron ore and coal. 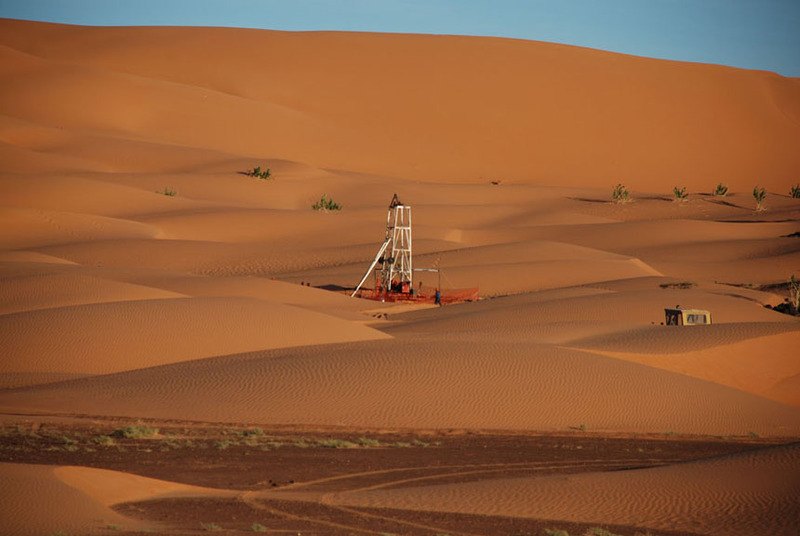 The company also has an entrenched track record drilling for what is fast becoming one of the scarcest commodities, fresh water. Hall Core is a truly African company taking pride in outstanding and exemplary service to clients - the cornerstone of Hall Core's values. 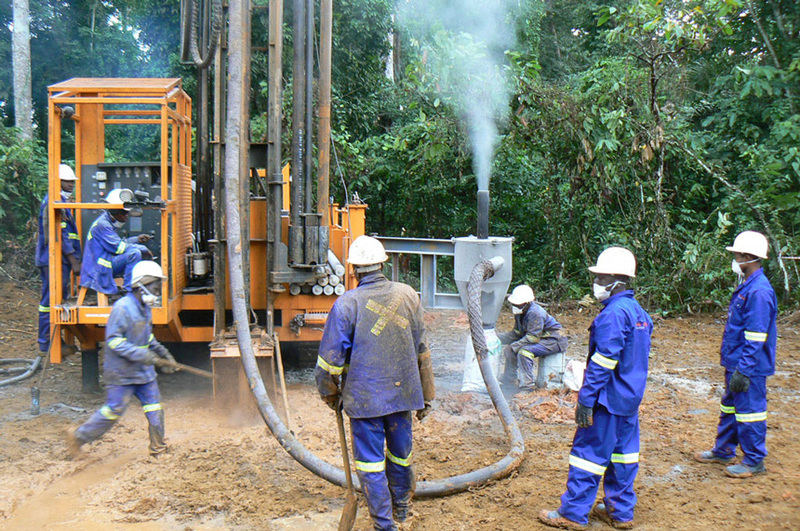 The drill rigs range in size enabling Hall Core to give each client a cost effective solution tailored to their needs. 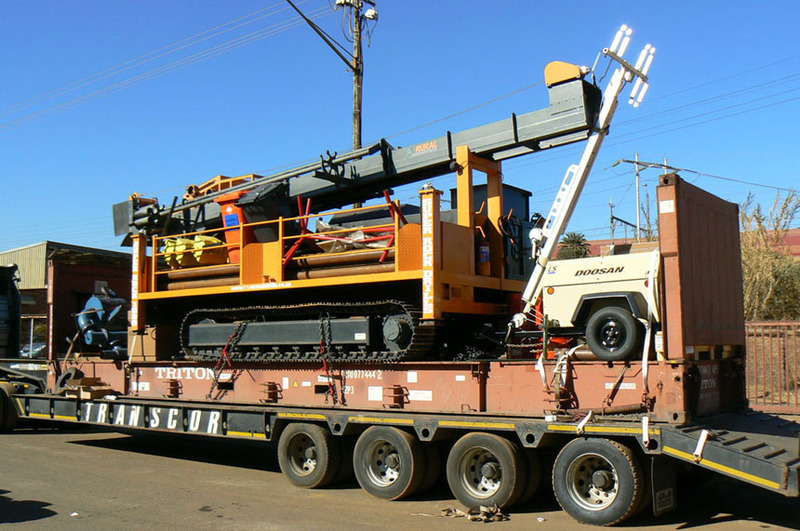 The majority of the rigs are trailer or truck mounted, facilitating efficient between-hole transfers, aimed at minimising standing time and maximising production. 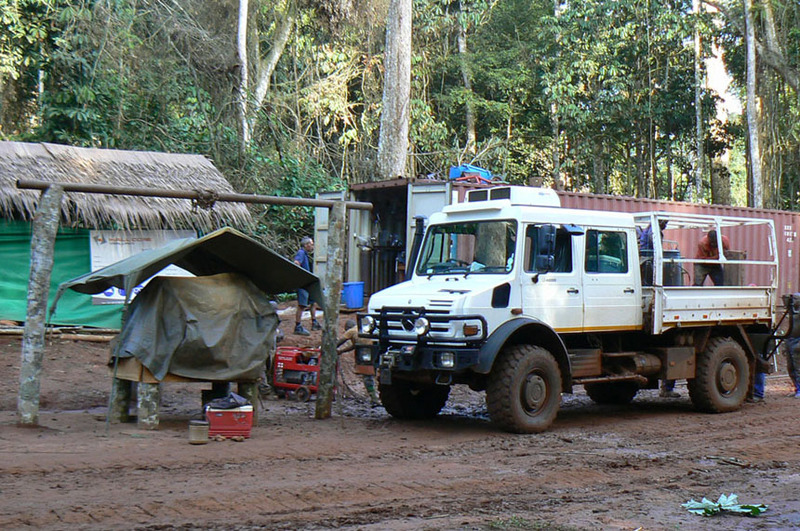 The fleet caters for extreme conditions with our man and helicopter portable rigs, deployed with great success in wet, mountainous and "between crop" drilling conditions. Hall Core understands the importance of good core and sample recovery within the agreed timeframes as well as the repercussions of not meeting these objectives. 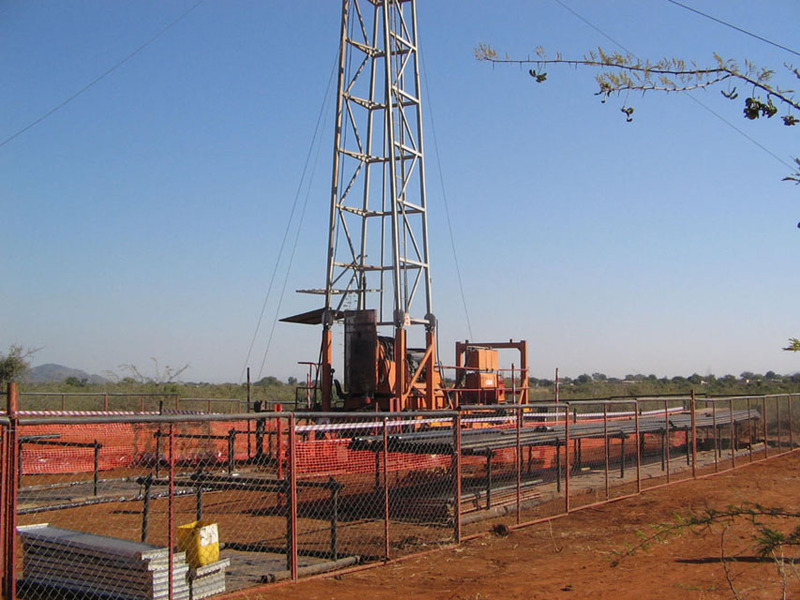 Quality production is paramount and no shortcuts are taken on maintenance or drill rig supervision, as these two aspects underpin quality production. To establish and maintain a preferred supplier status with all clients , and to differentiate Hall Core from the competition through consistent quality and delivery of superior service to customers across all aspects of the business. Continued investment in our equipment is fundamental to guaranteeing consistent and sustainable production. This investment is not only aimed at replacing and upgrading equipment but also at keeping abreast of the latest technology, and constantly seeking innovations that increase production and efficiencies. Maintenance needs to take place regularly requiring specialised skills and immediate response times. 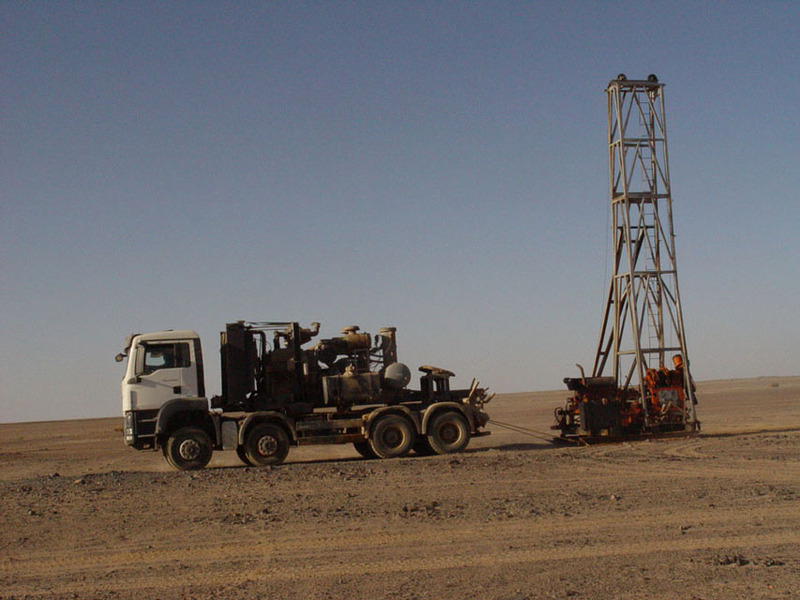 Hall Core has a dedicated technical team servicing and maintaining our drill rigs. Crucial spares are kept in supply so that mechanical down-time can be addressed as quickly as possible. The single most important resource for Hall Core is our people. Hall Core believes in attracting, training and retaining skilled employees that share our vision and mission. 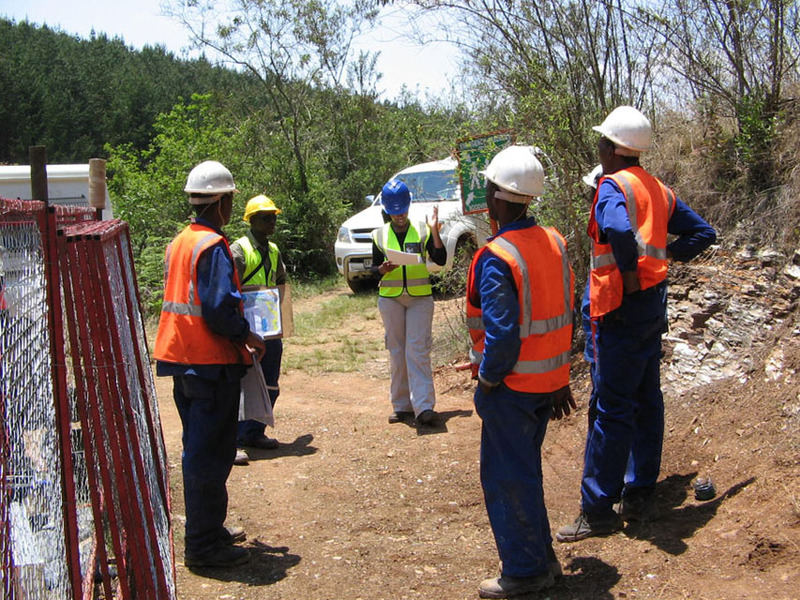 Hall Core's mission is to consistently meet the needs and expectations of our clients, by drilling better and more efficiently, while at the same time maintaining the highest standards in safety and environmental risk management. 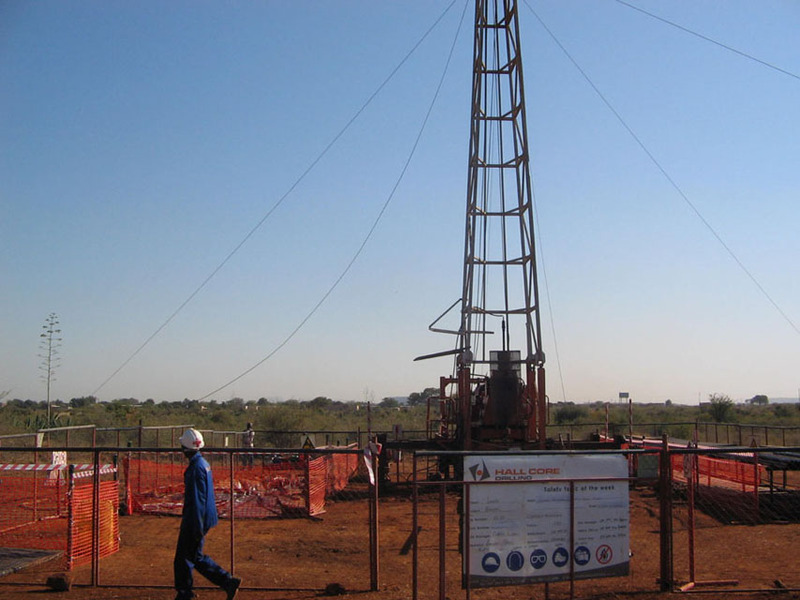 "To become Africa's preferred supplier of drilling services"
Dirk van Staden served as Chief Financial Officer of Exxaro Resources Limited (formerly, Kumba Resources Ltd.) until February 28, 2009. Mr. Van Staden has 26 years' experience in finance, eight of those in the mining industry. Mr. Van Staden served as General Manager with responsibility for foreign and domestic treasury operations and project finance of Industrial Development Corporation of South Africa, before he joined Iscor in 1997 as General Manager of Corporate Treasury. Dirk holds a BJuris from University of Pretoria, LLB from University of south Africa and Advanced Management Programme Advanced Management Programme of Insead. 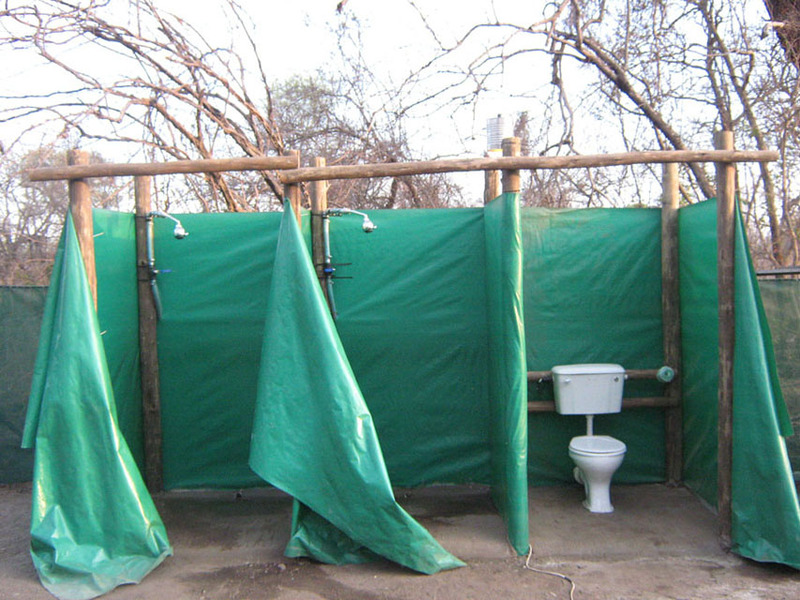 Cloete is responsible for all aspects of the day-to-day operations. He is a qualified chartered accountant who completed his articles at PwC in the metals and mining division where he worked on various mining and telecommunications clients. 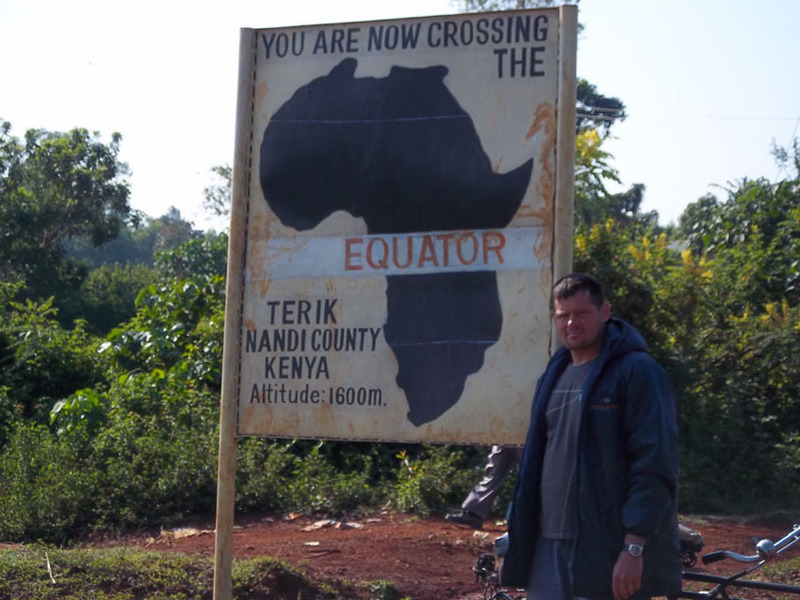 After working at PwC as an assistant manager he left to pursue an entrepreneurial career. 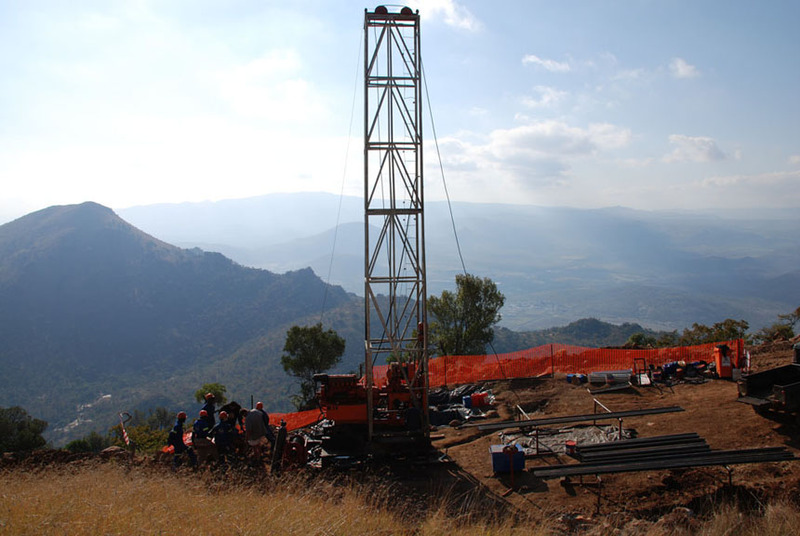 Cloete co-founded Hall Core Drilling. Besides heading up the business, Jayson plays an integral role in business development and client relations. 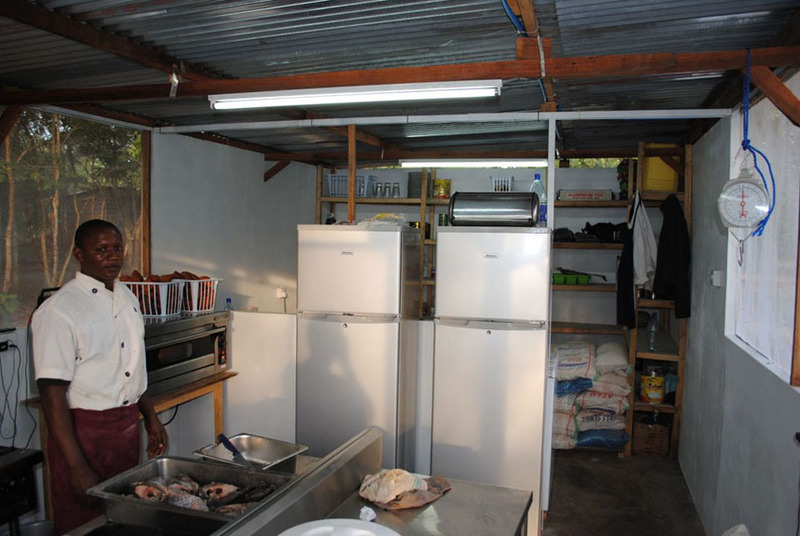 He is a business management graduate from the Stellenbosch Business School. Subsequent to graduating he worked as a business consultant with Cofesa Labour Consultants. Thereafter he joined Downtown Consulting where he worked in the London office and later established the Johannesburg office. 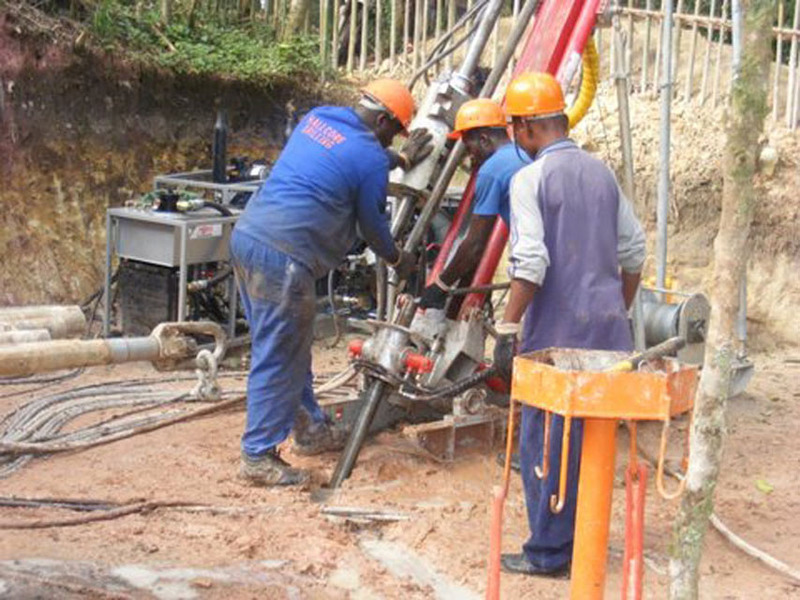 Eventually Jayson's entrepreneurial spirit led him to jointly establish Hall Core Drilling. Emmy is currently the CEO of Hernic Ferrochrome. He was previously General Manager of Kumba's Thabazimbi mine and prior to that, Head of Strategic Affairs at Kumba Iron Ore. In the course of his years with Kumba and BHP-Billiton, he also filled various positions as Logistics Manager, Project Manager and Process Engineer. 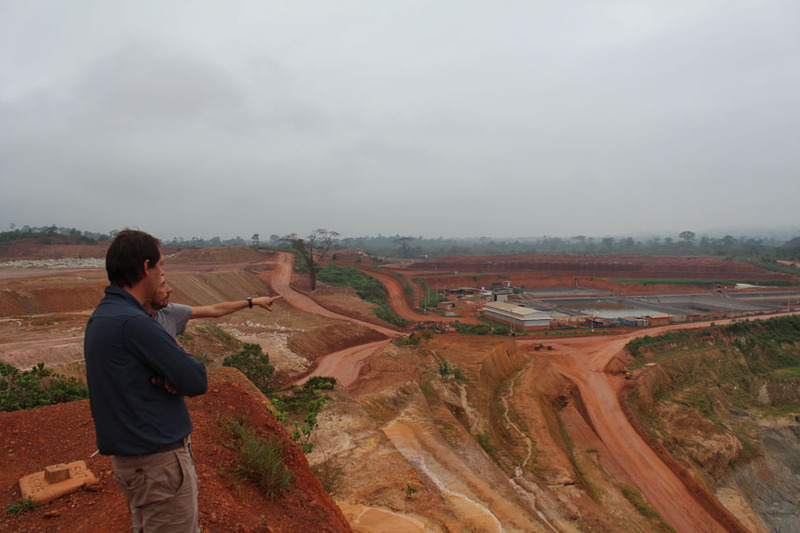 He has 14 years hands-on technical and man-management experience in base metals, ferrous and industrial minerals. Emmy has a BSc in metallurgy and materials from the University of the Witwatersrand as well as a Post Graduate Degree in Business Administration from DeMontfort Business School. Emmy is also a shareholder, contributing to Hall Core's BEE ownership. Willem is the non executive chairman of Hall Core and Head of Corporate and International Finance at Kumba Iron Ore Limited. He serves on the boards of a number of companies in Europe, Asia and South Africa, including pension funds and mining related organisations. He has been closely involved in listings on the Johannesburg Stock Exchange, financing and restructuring of companies and green field mining ventures in Africa and Australia. Willem brings a wealth of experience to Hall Core, accumulated through many years in the mining industry. He is a registered Chartered Accountant. 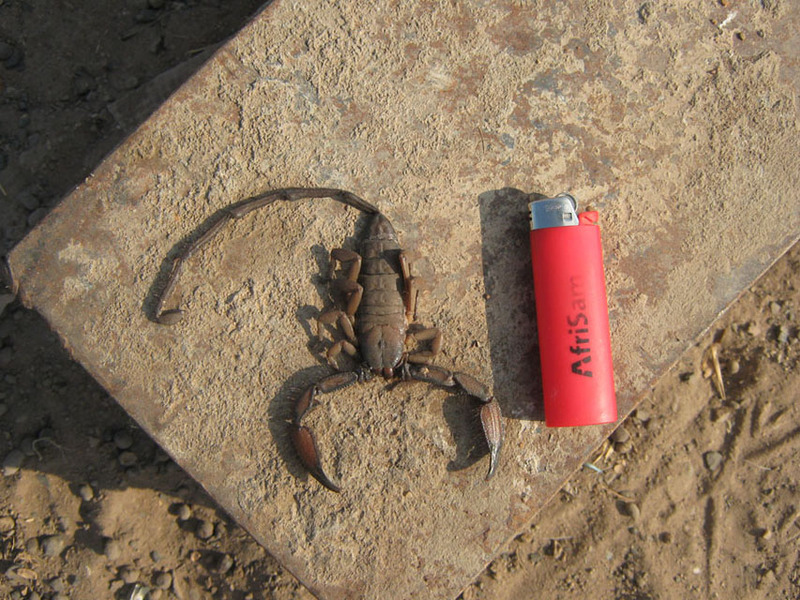 He was a partner in PWC for eighteen years after which he joined Iscor Mining and subsequently Kumba Resources Limited and Kumba Iron Ore Limited. 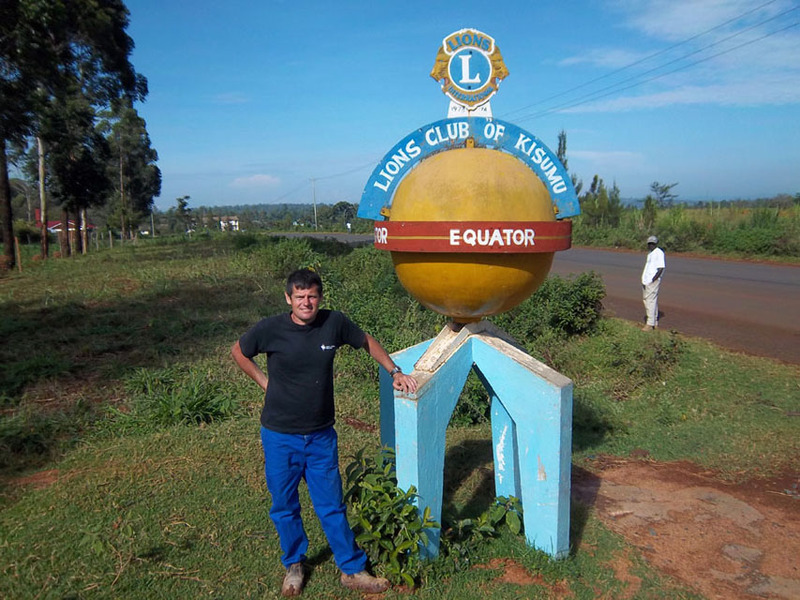 John is an executive director at True Group (Proprietary) based in East London. He has a legal background and was admitted as an attorney of both high courts of South Africa and Namibia in 1994. John's work experience ranges from working as an attorney, to tax consulting and banking. John joined True Group in 2008 from Investec Bank Capital Markets. Steve is currently the head of Brait Proprietary Investing. He is an admitted attorney with 12 years of corporate finance advisory and investment experience. He was previously the managing director of Protocol Venture Capital, a subsidiary of Dimension Data plc. Kofi is an Executive Director of Savannah Resources (Pty) Limited (Savannah), the lead investor in the Savannah Consortium, Aquarius Platinum's BEE partner. 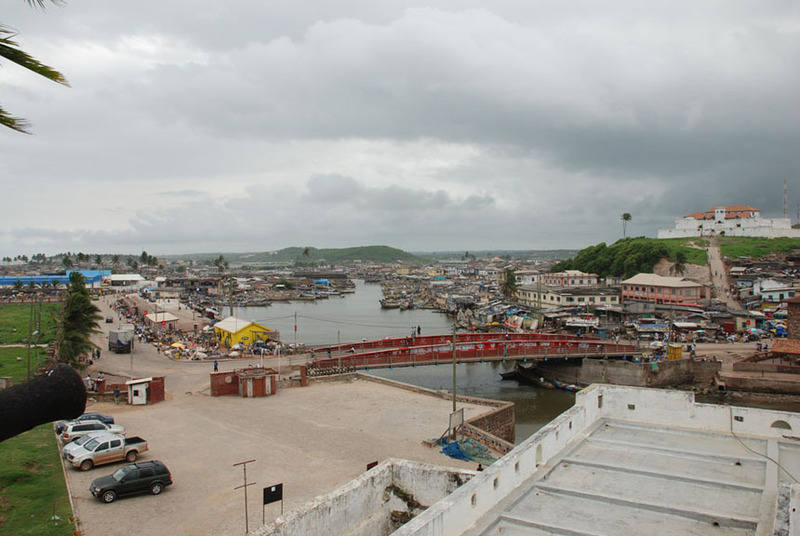 Prior to joining Savannah Resources, Kofi worked with the International Finance Corporation as an Investment Officer, Gemini Consulting as a Senior Management Consultant and Schlumberger Oilfield Services as a Field Engineer. Kofi holds an MBA from the London Business School and a BSc from Princeton University in the United States. 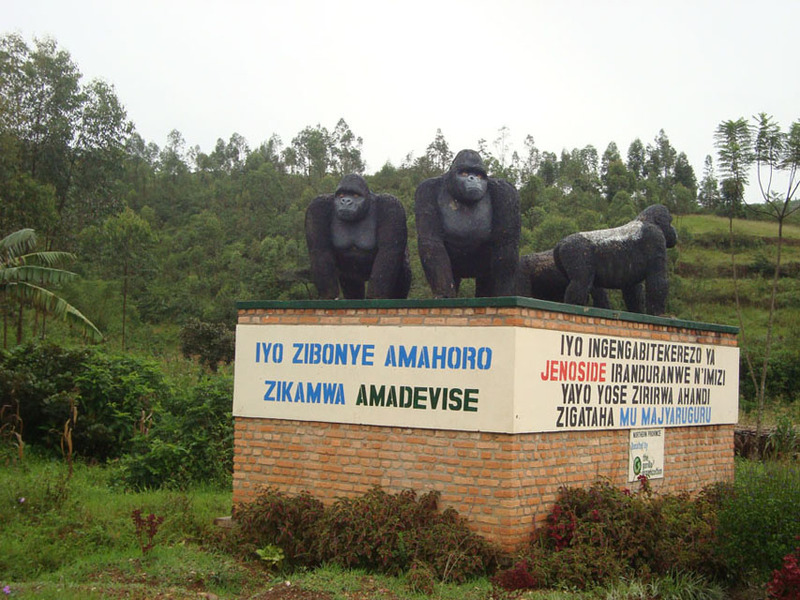 He is currently a director of Mkhombi Holdings. Kofi joined the Board of Aquarius Platinum in February 2005. Kofi is a member of the Nomination Committee of the Group. The safety of our employees and those impacted by our operations are non-negotiable. The company's mantra, HARM FREE encompasses safety, health and the environment in which Hall Core operates and takes priority in every aspect of the business. 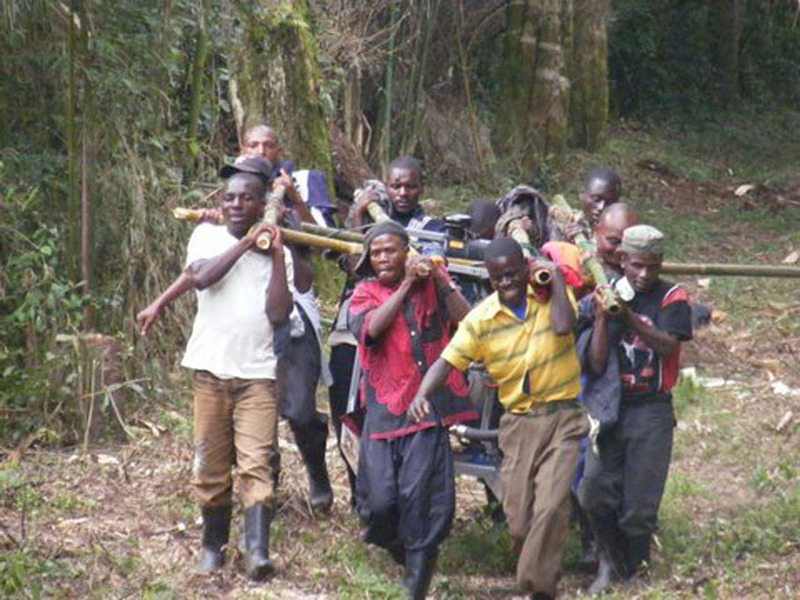 We believe there is no monetary or other gain that can ever justify or remediate the loss of life or limb. It is for this very reason that Hall Core Drilling embraces only one universal and overriding principal, HARM FREE. HARM FREE not only extends to our employees but to those with whom we interact in our day-to-day activities, including the communities and environment in which we work. The company follows a risk-based approach in which every potential risk is listed, rated and mitigations implemented. 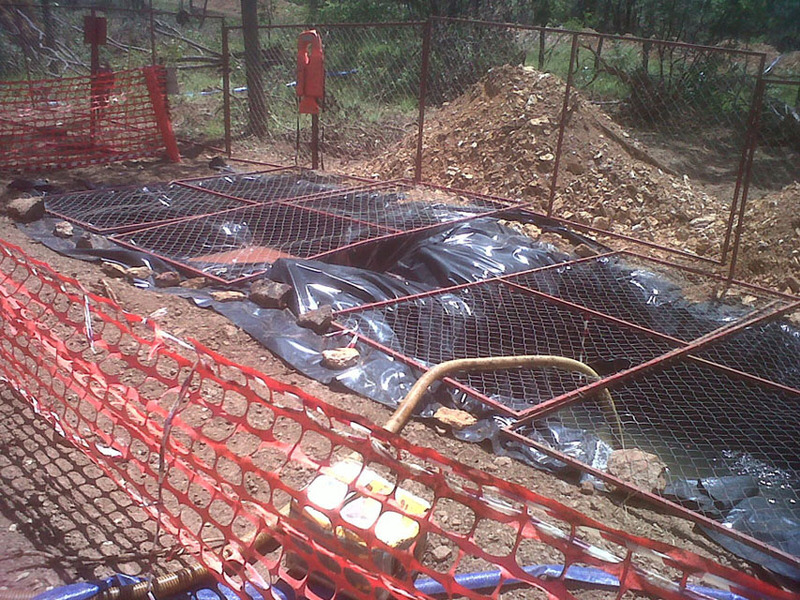 The mitigation of risks is an all encompassing approach that includes our employees, equipment and behaviour on site. 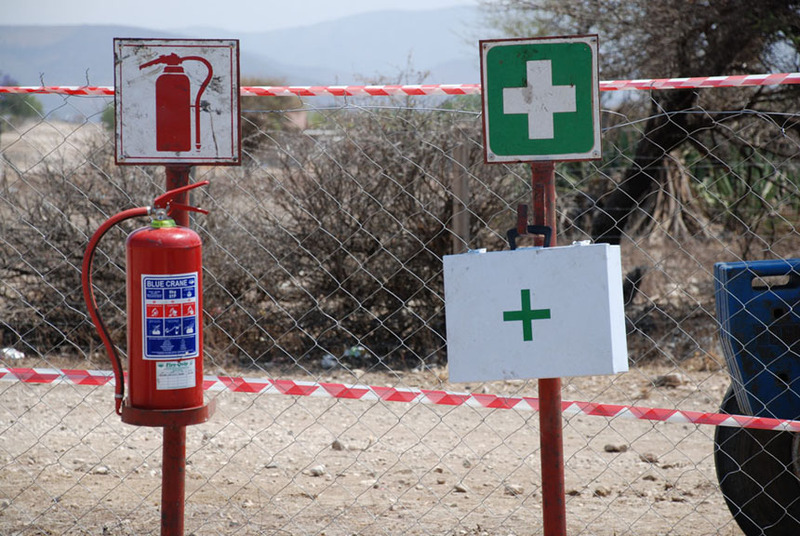 Our Fatal Risk Control Protocol is designed and implemented to address the underlying issues that heighten the risk of fatalities in our day-to-day conduct and forms the foundation of our HARM FREE approach. "Team Hall Core" has orange blood running through our veins with no task or challenge being too much to ask. 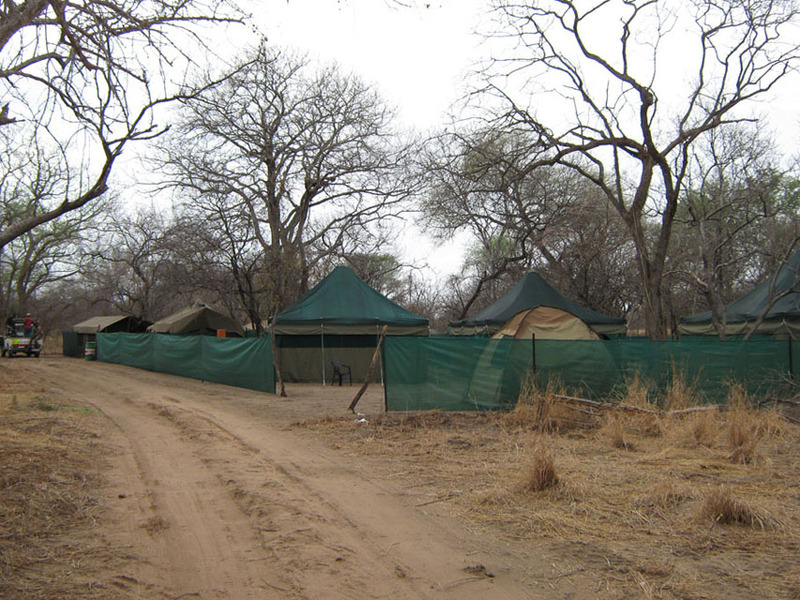 Team Hall Core is our biggest asset and we make every attempt to keep the team healthy and motivated: Regular medical examinations are part of the culture; and each drill team is given a weekly ration which has been carefully selected to ensure a balanced meal every day. No compromises are made on Personal Protection Equipment. Not only do we supply our people with the best available Personal Protection Equipment we also replace their Equipment on a regular basis. Diseases such as Malaria, HIV/Aids and TB may at some stage affect the wellbeing of an employee. Through education and voluntary counselling and testing, Hall Core tries to detect and prevent infection. Should a member of our staff be affected by HIV in any way we have a program in place through which he/she can gain access to counselling. The earth from which we derive our resources has been there long before we arrived and will remain for millions of years to come. Hall Core Drilling believes that we should leave no long-term remembrance of our brief encounter with mother earth. We are committed to protecting the environment in which we operate and we take every possible care to prevent contamination of the soils. In the unfortunate event of a hydrocarbon spill we have the latest remedial biochemical products on site to breakdown these hydrocarbons. 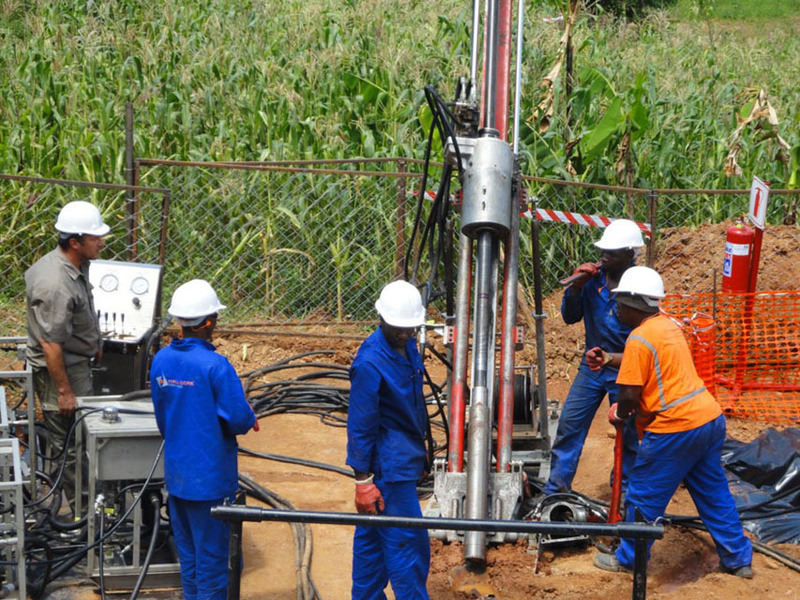 After completion of each borehole, Hall Core rehabilitates each drill pad at no cost to our clients, because we believe that the welfare of the earth is not a tradable commodity but a core responsibility of each of her citizens.